A university degree is not a passport to a fast-track career anymore. To optimize the return of your investment, you need to be selective about what you study and where. It is important you understand the trade-offs of your decision before you apply. Although it is important to think of ways to minimize the cost of your education, it is also crucial to maximize the benefits you get out of it. A) How do you minimize the costs of your education? This is relatively straight forward. Check tuition fees for various universities. Insight: make sure the quality of the course you choose is not jeopardized. B) How do you maximize the benefits you get? Ensure you study a subject that will increase your employability. Find out what the long-term prospects of the sector you are interested in are. Check which types of jobs are in demand in that sector. Get a degree with a specialization. Find out what employers are looking for in the career path you want to follow (e.g. do they prefer a degree from a reputable university or is the specialized knowledge that matters?) Insight: speak to friends of you parents or anybody else you know in the area you are interested in. provide high quality courses in the subject you want to study (league tables by subject can be found at the Complete University Guide). prepare you for your work-life (Do they offer advice on presentation skills, CV writing, interviewing skills, etc. Do they have strong links with employers and/or support you to find the right internship/work placement for you?) Insight: I strongly advise you to contact the university for details before you apply. Remember, there is significant variation in performance among universities. Make sure that you do your research to find out which one is worth your investment. Don’t count only on the information you get from the universities themselves. Find out what employers’ perception is about them. 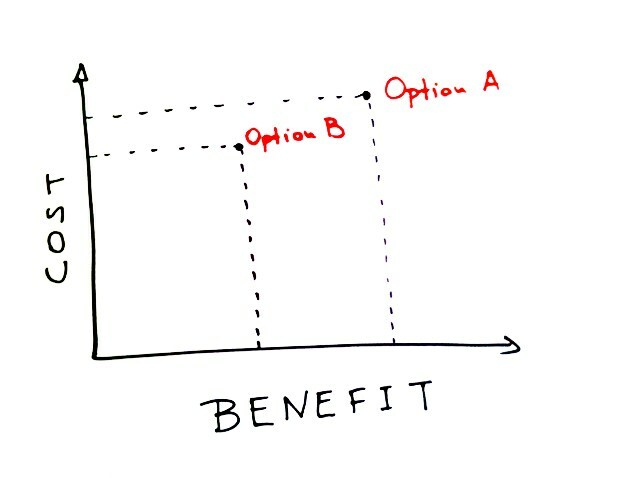 The bottom line: There is always a trade-off between cost and quality of offering. You better understand the consequences of the trade-offs before you apply. Be selective of what you study and where you study. Do your research to make sure you get good value for your money. Korina Karampela is the author of ‘b4iapply to college‘ and ‘b4iapply to uni‘. This entry was posted in b4iapply to college, b4iapply to uni, Before I apply, Higher Education, Value for money, What to study and tagged cost of higher education, maximize benefits, trade-offs, what to study, where to study. Bookmark the permalink.